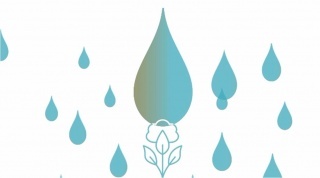 On World Water Day (March 22nd) Cotton Incorporated shared a new video setting the record straight on cotton's water usage. Click here to see the video. The Cotton Board’s Communications team will again be hosting a booth at this year's Texas Cotton Ginners Association Gin Show. The show will be held at the Lubbock Memorial Civic Center in Lubbock, TX, April 7th & 8th. This year's Cotton Board booth will highlight some of the most exciting projects going on at Cotton Incorporated and will unveil a new advertising campaign, Web site and video directed toward the cotton growing community. 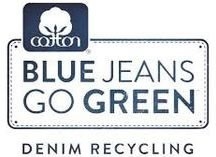 The Cotton Board's booth will also include a collection bin where you can donate old denim to the Blue Jeans Go Green™ denim recycling program. All denim collected through the program is recycled into UltraTouch™ Denim Housing Insulation, and a portion of it is donated to help rebuild homes in disaster-stricken areas. And, as always, they'll be handing out your favorite Cotton Board lip balm. Site-specific crop management relies on the creation of management zones and on establishing practices that fit variations in the land. Measuring soil conductivity to create accurate soil texture maps is a new and novel way to facilitate this process and the overall success of management planning. This presentation is available at no charge, courtesy of Cotton Incorporated, through the ‘Focus on Cotton’ webcast resource located at the Plant Management Network,http://www.plantmanagementnetwork.org/foco. ‘Focus on Cotton’ contains over 35 webcasts on various aspects of cotton crop management. These talks--freely accessible 24 hours a day, 7 days a week--cover agronomic practices, crop protection, and ag engineering. This resource also features a new and improved Cotton Extension Search tool, where users can conveniently search for extension resources across all U.S. land-grant universities serving cotton producers. The Mississippi Farm Bureau® Federation Women’s Leadership Committee recently collected over 2,000 pairs of blue jeans for the Blue Jeans Go Green™ denim recycling program and donated them at The Cotton Board's Mid-South Farm and Gin Show booth. The Cotton Board held the denim drive to raise awareness about the Blue Jeans Go Green™ denim recycling program which aims to keep old denim out of landfills and give it new life by converting it into denim housing insulation for communities in need. “We are tremendously proud to be associated with such a great organization and thrilled about this great response,” said Stacey Gorman, Director of Communications for The Cotton Board. "It takes roughly 500 to 1,000 pairs of jeans to create enough insulation (approximately 2,300 square feet) for one average-sized home in the US. So this group has provided enough denim to generate insulation for multiple homes," she said. "It was amazing how our Mississippi counties responded. 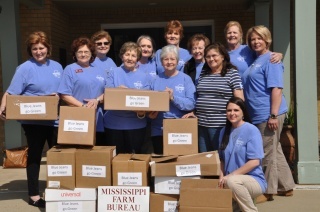 Jeans were collected by county Farm Bureau volunteer leaders from across the state and were brought to our annual state Farm Bureau convention in December" said Betty Mills, Mississippi Farm Bureau® Federation Women’s Leadership Committee Chairman. Since Cotton Incorporated started the Blue Jeans Go Green™ program in 2006, over one million pieces of denim have been diverted from landfills and over two million square feet of UltraTouch Denim Insulation has been generated. Global cotton prices declined for a second consecutive month. Values for the nearby May NY futures contract set a series of life-of-contract lows over the past month, with prices dropping from levels near 59 cents/lb a month ago to those near 56 cents/lb. In the latest trading, values have rebounded above the 58 cent mark, but current levels are among the lowest since 2009. The A Index also lost about three cents/lb. Recent values have been between 64 and 65 cents/lb. Since September, every monthly update to the USDA's supply and demand figures has featured decreases to both world production and consumption. This month's report was no exception, with the global harvest number dropping 1.2 million bales (from 101.4 to 100.2 million) and the global mill-use projection falling 400,000 bales (from 109.6 to 109.2 million). Current estimates for both production and mill-use are the lowest since 2003/04. As has been the case for the past several crop years, a central variable shaping price direction is Chinese government policy. Rumors of an impending release from Chinese reserves, with prices significantly below current cash values (CC Index), are commonly cited as a primary reason that prices around the world have moved lower over the past couple months. Relative to current CC Index values near 82 cents/lb, prices for forward contracts on China's CNCE platform (contracts with delivery in July and August are trading below 70 cents/lb) as well Chinese ZCE futures (contracts with delivery in September are trading near 72 cents/lb), suggest that Chinese prices could decrease about 15% in coming months. However, no price-related details regarding an upcoming set of auctions have been officially released. If the expectations for the drop in Chinese prices expressed by CNCE and ZCE markets are confirmed by an upcoming government announcement, there is potential for Chinese spinning mills to become more competitive internationally and for Chinese mill-use to increase. The USDA is expecting China will start to more aggressively move cotton from reserves by lowering prices, and that Chinese mill-use will increase by one million bales in the coming crop year (from 32.0 to 33.0 million bales).